The County Council and District Council are not responsible for clearing the footpaths when it snows however, they are providing a salt spreader and salt to enable local volunteers to help when it snows. The other Parish and Village Councils have already identified a group of volunteers for this purpose. If you are interested and would be able to help please contact the Clerk, Maureen Gibbins. 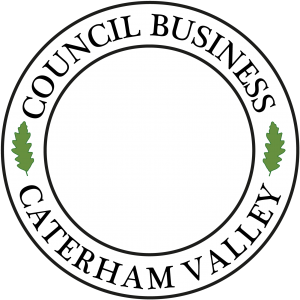 It would be wonderful if we could ensure Caterham Valley had a gold service for its residents.